Please always make sure you follow us on social media to be kept up to date on all of our projects! African American Twin Babies to play 4-11 months old. Shoots in Brooklyn March 25th. Must be NY Local Email:twinstalentcasting@gmail.com with names, dob, tel number and one recent color photo of the twins together taken in the last week. Twins to play the role of ASIAN or ASIAN/MIXED TWIN/TRIPLET GIRLS to play 2-3yrs old. Must be Local Shooting end of March/April NY & Westchester. Must be local. Email: twinstalentcasting@gmail.com with names, dob, tel number and one recent color photo of the twins together taken in the last week. CASTING BILLIONS – NY – Twin or Triplet Babies to play under 11 pounds. Did you know that April is Multiple Birth Awareness Month? How will your club celebrate? Last month, our Executive Office emailed Multiple Birth Awareness Kit to our clubs. It is full of great ideas to share the unique experience of being a multiple birth family. We would love for all our clubs to participate in Multiple Birth Awareness Month. Please share your ideas and photos with us! Also, as part of Multiple Birth Awareness Month, we are looking for family photos to be part of our ad campaign that will be posted on our social media platforms throughout the month. Please share your high quality photos (at least 1MB in size). We would like to feature a full spectrum of multiple birth families, all photos are welcome. 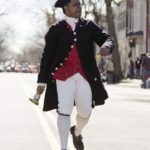 Please submit the photos to ExecutiveVP@multiplesofamerica.org. We will send you a Photo Submission Form. We are looking for some babies to be FEATURED Extras on our new Feature Film and are hoping you can help us get the word out to the Twins/Multiples Community as we prefer to hire twins/multiples to perform the role. Casting Notice with information is below and I have also attached a Flyer in jpg and pdf format that can be shared. Appreciate any assistance you can provide. I can be reached at 615-663-3621 or at this email address if you have additional questions. **PLEASE SHARE WITH ANYONE YOU KNOW in the NASHVILLE area that fits any of the below talent specs! Thanks! We do NOT have a Call Time yet, so you MUST have FULL day availability if submitting to be available regardless of what Call/Wrap Times end up being to allow for changes. Please DO NOT submit if you do not have FULL DAY availability. ‘BABY AARON’: BI-RACIAL NEWBORN BABY: Male or Female, BI-RACIAL (African American and Caucasian mix), age range newborn to 6 months (but should be VERY small if on the older end of that age range). Prefer TWINS or multiples. Will be playing the newborn baby of our two lead actors. 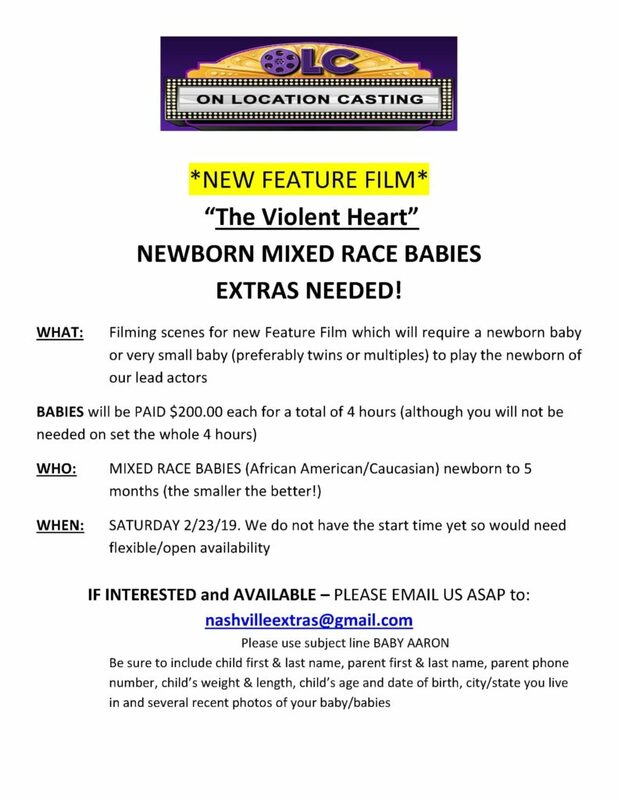 To SUBMIT: email to: nashvilleextras@gmail.com with subject line BABY AARON Submissions MUST include ALL of the following: parent first & last name, child first & last name, child age and date of birth, parent contact number and a couple photos of baby/babies. If submitting for twins/triplets, please send individual photos and also a photo of babies side by side. Please Consider participating in this Global Initiative! Please take a moment to read this information and participate in this Global Initiative! In this world-first initiative, we are giving twins and multiples the opportunity to steer future twin and multiple-birth health research in the direction that matters to you.Help us to identify the top research priorities for twins and their families to enjoy optimal health and well being. We are launching the Global Twins and Multiples Priority Setting Partnership with TAMBA UK, and St George’s University of London. This initiative seeks to identify the top 5-10 priorities for research into twins’ and multiples’ health. Ultimately,our aims are to save lives and to improve long-term health outcomes for multiples. We believe there is insufficient attention given to the specific health needs of multiple-birth families even though the number of multiple births has increased overtime. It is important that decisions about future research priorities don’t rest with researchers or government funding bodies alone. Our partnership wishes to hear the voices of all stakeholders in multiple-birth care – twins, higher-order multiples, their parents and families, GPs, obstetricians, pediatricians, midwives, maternal health nurses and educators. Ensure your voice is heard by filling out an initial 15-minute online survey. You’ll be asked to nominate up to three important unanswered research questions on the health of multiples relating to issues such as pregnancy, birth, parenting, childhood development, diseases, emotional and mental well being etc. You can complete the survey or find out more information by clicking on this link. The survey closes soon so please take it ASAP! We would also appreciate if you could share this survey with others in your circle e.g. twin friends and families, multiple-birth clubs, your GP and specialists. It is open to everyone who supports twin lives and well being. Let’s work together to identify the most pressing issues needing research, and to make sure research funding and resources are going where they are most needed. Generations of multiple-birth families – now and in the future – are counting on us.